As we are here in Barcelona, wrapping up our sabbatical year (well…it’s not technically over until August), one thing I realized that many people may not know is what a sabbatical is. There are many common misconceptions about sabbaticals, so I figured I could share a bit about this often misunderstood academic tradition and answer a few questions I come across quite often! The idea of a sabbatical has it’s roots in scripture – when God rested on the seventh day from his labor of creation, it became known as the sabbath. This concept was then applied to the Hebrew people later on in the Ten Commandments, so that all people would stop their work for that day and honor the Lord – the sabbath was the day of rest on the seventh day, just as the Lord had rested on the seventh day. This was later extended to be a rest from working the fields, described a bit in Leviticus 25, that would last about a year, and would take place every seventh year. The sabbatical year was to benefit both the people and the fields. In academia, a sabbatical is typically an extended leave of absence of either one or two semesters. The time is used in order to achieve something professionally with a greater sense of focus and time allotted to the task. Not all scholars have the time for this during a typical semester since they are juggling teaching, course preparation, grading, advising, research, networking, administrative meetings, not to mention their own personal needs as well. A sabbatical is often used to accomplish work that is otherwise difficult or slow moving during the typical academic year. Such things as writing a book, intensive study at specific locations connected to their area of scholarship, conducting research, submitting papers to conferences or journals, or possibly teaching at a different institution. It is my understanding that a sabbatical is to benefit both the professor, the institution, and ultimately the students. When you think about it, a faculty member that has been able to rest from a certain amount of responsibilities, they come back refreshed and ready to go! So, you’re not working? Just….hanging out? So what exactly is your husband doing on this sabbatical and why are we here in Barcelona? This is a question I get a lot! My husband is a computer scientist, and his specific area of scholarship is in computer vision. From a technical standpoint, he is able to do his research and experiments basically anywhere there is a good internet connection and a comfortable enough chair. When it came time to discuss options for his sabbatical, there were a few different ways we could have gone – staying home in Grinnell was certainly one choice! But we both like to travel and also figured this is a unique time in our life when it would be fairly straightforward to be gone for a year. Our kids are young enough to not be in school or sports yet, so they wouldn’t “miss” much. Plus, we figured, if we had the opportunity to travel, why not? 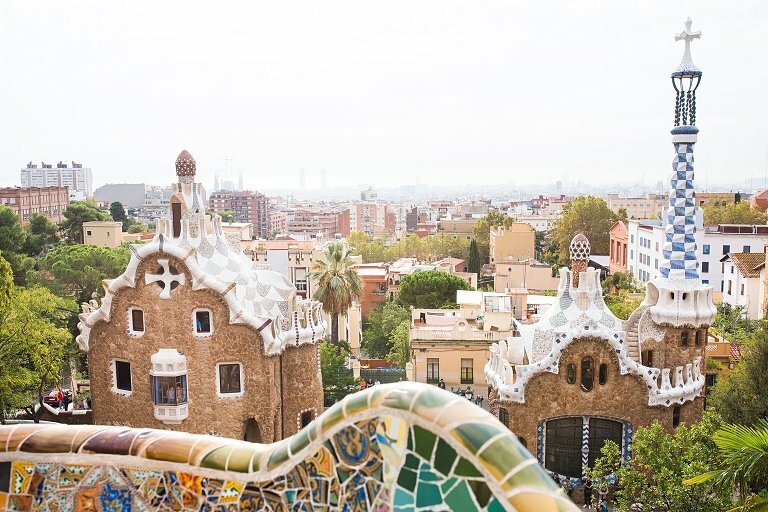 We chose Barcelona from a short list of potential options (also on the list were Germany, Finland, Czech Republic, and Japan) mostly due to the climate and general location in relation to other places in Europe we wanted to visit. Who wouldn’t want to live on the Mediterranean coast for a year, right? More specifically, the network connections and research potential at the university located here in Barcelona were very beneficial of for my husband. It was an opportunity we didn’t want to turn down! Are you in Barcelona for free? Is the college paying for you to be there? Hahahaha…..NO. Each college and university handles pay and reimbursement for sabbatical differently, and frankly there has been a lot of changes at Grinnell College recently over how sabbatical is handled, so I’d be in over my head trying to explain it all. I get confused trying to make sense of it for myself! But the short answer is that there are limits as to what is covered for a sabbatical. My husband was fortunate enough to receive a fairly sizable grant from a foundation that will last a few years and cover many of his expenses incurred during sabbatical, but it is definitely not a free ride. We have a mortgage and some utilities at home, plus rent and utilities here in Barcelona. Our monthly housing expenses more than doubled instantly when we moved here. The cost of living in Spain is very very high, particularly housing and electricity. Food and daily essentials are comparable to the United States, with many foods being cheaper. Public transportation is affordable and we are likely saving money overall since we aren’t paying as much insurance, gas, and maintenance on cars since they are in storage for a year. Basically, the financial side of sabbatical is such that we have a massive spreadsheet to track things for tax purposes, we are trying to stick to a reasonable budget as much as we can, but in the end, we are definitely dipping into some of our personal savings to be here. While we want to enjoy our time in Barcelona and Europe since it is a once in a lifetime experience, we can’t splurge on everything or we’d be broke! Lol! 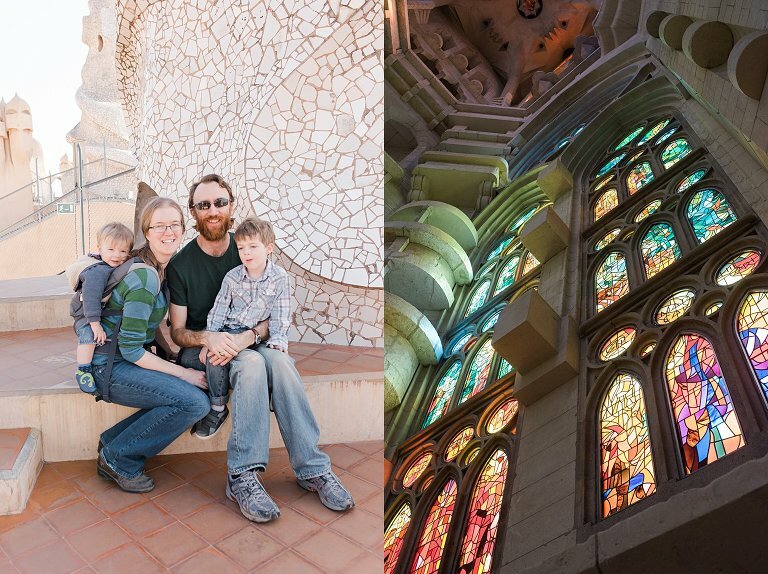 A family outing to La Pedrera on the left, and an interior view of Sagrada Familia, both in Barcelona. What are some of the things you have done for fun while on sabbatical? Okay, so yes, sabbatical isn’t just vacation….but it is a time where we can travel much more easily! And at least some of the cost is subsidized for my husband, so that makes it financially more feasible. All of this means we can take family on trips since we are paying for one less plane ticket, and housing costs are a bit lower. My husband and I are quite frugal, but when it comes to experiences that are unforgettable, particularly visiting new places, we don’t want to miss an opportunity. We’ve been able to visit several amazing places while in Europe: Copenhagen, London, Amsterdam, and Budapest. We had hoped to connect with some friends in Germany, and I almost went to Italy, but those just didn’t work out. The only thing I regret is that we didn’t see more of Spain and the other beautiful cities beyond Barcelona. That being said, we’ve seen a LOT of Barcelona and have really grown to love this city! If you ever travel to Barcelona, I can give you lots of tips and recommendations! Yes, absolutely! It has been an amazing experience for our kids, and for us. The first few weeks were full of lots of adjustments and lots of cross-cultural learning that was frankly not very easy. But it’s been 100% worth it. We’ve enjoyed expanding our kids’ horizons, exploring a new city, trying new foods, we’ve stretched ourselves by living without a car for a year (SO not easy for me! ), we’ve become more acquainted with life in a bustling city in lieu of our quiet little town, and we’ve been able to travel more in one year than we have in the past 5 years combined! In about 2 weeks, we fly back to the United States! We’ll take a little time this summer to reunite with our extended family, some who we haven’t seen for quite a while, and catch up with friends as well. We’ve missed everyone! I’ll be jumping back into working with my photography business – I can’t wait! – and I’m sure we’ll have a zillion little house projects to keep us occupied during the summer months. My husband will continue his research back in Grinnell, and this fall he will start back up with teaching at Grinnell and be the chair of his department. It’s going to be a busy year for us, but we can’t wait!